Get the latest news on incumbent Prime Minister of India Narendra Modi, who has been in power since 2014. Narendra Modi is also a Hindu nationalist, a member of the Bharatiya Janata Party (BJP), and a member of the right-wing Rashtriya Swayamsevak Sangh (RSS). 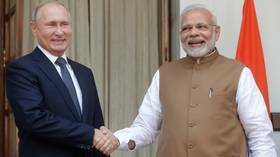 As India is a member of group called BRICS (Brazil, Russia, India, China, South Africa) Modi has been actively trying to cooperate with these countries, paying much attention to the relations with Russia and its President Vladimir Putin. Follow RT on the news and updates on Indo-Russian relations, as well as on relations between Russian President Vladimir Putin and Indian leader Narendra Modi. Indian Prime Minister Narendra Modi has condemned the series of deadly explosions that rocked several Sri Lankan Catholic churches and five-star hotels on Sunday. The attacks claimed more than 150 lives. Prime Minister Narendra Modi discovered the Twitter tag button and went all out on Tuesday, tagging a wide range of cultural and political figures in order to encourage voter turnout in upcoming elections. Indian Prime Minister Narendra Modi addressed workers in a video conference on Thursday. He said that India is standing like a rock to counter evil designs. Praising strategic partnership between the two nations, President Vladimir Putin invited India’s Prime Minister Narendra Modi to become the “main guest” at an economic forum in Russia. 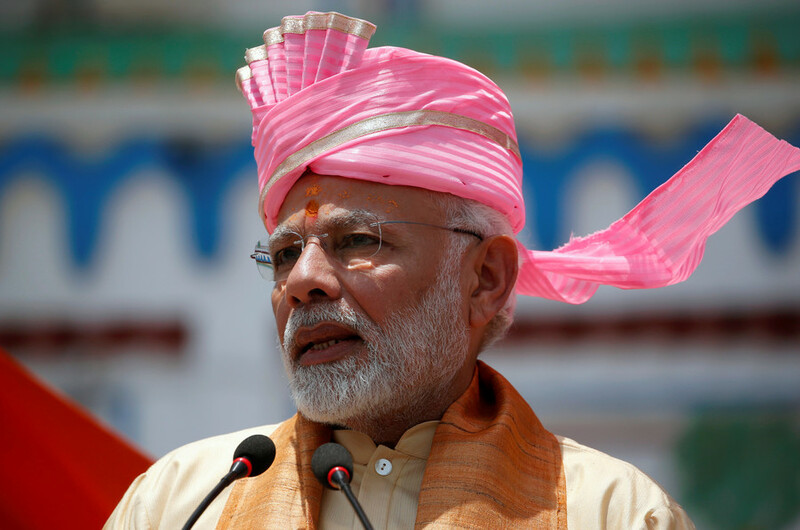 India will respond against aggressors who challenge its sovereignty with “double the force,” Prime Minister Narendra Modi has stated, noting that his government is not shy of taking “bold” steps to defend the country’s interests.